Dublin footballers face Cavan for the 17th time in NFL action on Sunday when clash in Breffni Park (2.0). 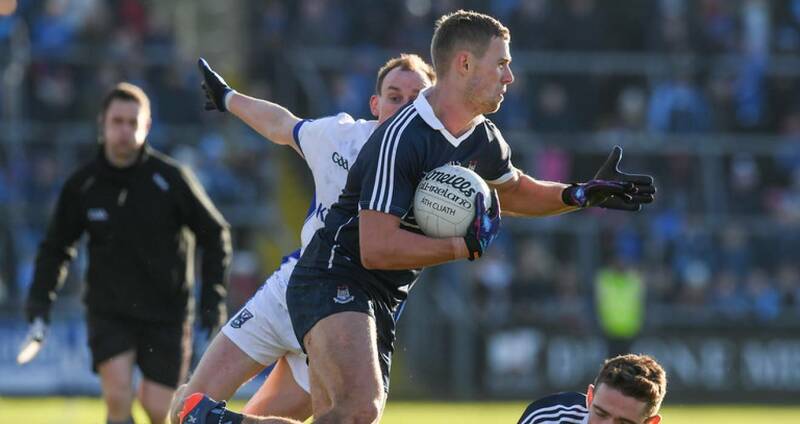 The Dubs are free of any relegation concerns but can't reach this year's decider while Cavan must win and hope other results go their way if they are not going to slip back into Division 2. In the 16 previous NFL meetings Dublin won nine and drew three - their first meeting was on February 28, 1892 in Clonturk Park when the Dubs prevailed 3-7 to 0-3, their last meeting was two seasons ago. Here we look back at their most recent clash. Dublin made a winning start to their 2017 NFL campaign when seeing off the determined challenge of Cavan at Kingspan Breffni Park on Sunday afternoon in front of an official attendance of 16,331. A scoring surge in the lead up to the half-time break did the damage for Jim Gavin's men after a very evenly contested opening 20 minutes. The hosts led 5-4 after 21 minutes but between then and the interval Dublin took control of the contest and by half-time were 0-10 to 0-7 clear. Cavan, deployed a defensive system, were styming the Dubs just the opening exchanges but with Dublin starting to boss the middle third they hit five unanswered points before the 30th minute to put distance between the sides. A superb Seánie Johnston point from near the corner flag at the town end must have given Cavan hope of an upset but it was Dublin who lifted their game with points from Jason Whelan following a good fetch from Brian Fenton. Dublin started to show signs of champions and Ciarán Kilkenny edged Dublin in front with a well struck point. The hard-working Niall Scully then dovetailed with Jack McCaffrey on a counter-attack move to impressively split the posts from 40 metres and Dublin were now in control. Further scores from Jack McCaffrey, after a one-two with Eric Lowndes, and a Dean Rock free had Dublin 0-9 to 0-5 up by the 30th minute. However, Cavan rallied with a point from the talented Gerard Smith and a Niall McDermott free before Dublin closed the opening period out with a Dean Rock free following a foul on Niall Scully. As the second half wore on the Dubs began to exert an even greater influence on the game and but for some bad wides would have been safe by the three-quarter marker. James McCarthy continued to drive his men on and kicked the first of two good second half points in the 43rd minute, his second came off his left foot from a tight angle, before Dean Rock and Niall Scully from long range made it 0-14 to 0-8. Dublin were never in trouble after that and could begin to introduce more subs as they ran out seven-point victors and get ready for next Saturday's clash with Tyrone in Croke Park (7.0) which is preceded by the meeting of the Dublin hurlers and All-Ireland SH champions Tipperary (5.0). SCORERS - Dublin: D Rock 0-7 (6f), N Scully, J McCarthy 0-2 each, K McManamon, MD Macauley, J Whelan, C Kilkenny, J McCaffrey, B Fenton, C Costello (0-1f) 0-1 each. Cavan: S Johnston 0-5 (0-2f), N McDermott (0-2f), G Smith 0-2 each, J McCutcheon, C Madden 0-1 each. 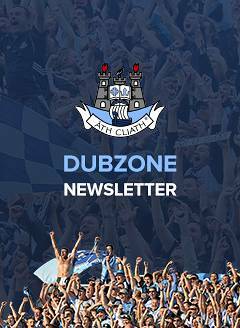 DUBLIN: S Cluxton; M Fitzsimons, P McMahon, E Lowndes; J McCarthy, J Small, J McCaffrey; B Fenton, MD Macauley; J Whelan, C Kilkenny, N Scully; P Mannion, D Rock, K McManamon. Subs: C Costello for McManamon (42), C Basquel for Whelan (46), E O'Gara for Mannion (56), D Byrne for Fitzsimons (59), C Reddin for Macauley (62), C McHugh for Rock (70). CAVAN: J Farrelly; P Faulkner, R Dunne, F Reilly; C Brady, K Brady, C Moynagh; K Clarke, J McCutcheon; M Reilly, D McVeety, G Smith; N Clerkin, N McDermott, S Johnston. Subs: S Murray for McCutcheon (ht), P O'Connor for McDermott (ht), G McKiernan for Dunne (42), C Madden for Moynagh (47), N McKiernan for Clerkin (61), S O'Rourke for Madden (66).